When I arrived in Fairbanks at Ben’s place, who had agreed to host me through warmshowers.org (but Ben is also very active on Couchsurfing) there was a package waiting for me that Cyndie, Skyroam’s marketing manager, had sent me. Skyroam costs $ 124.99 (with 5 daily passes of 24 hours of use) after that the running costs are pretty simple: you pay $ 10 (or $ 8 if you buy at least 5 daily passes at a time) for 24 hours of use, whatever the traffic data. The Skyroam daily pass can be activated and used also if you are travelling in between multiple countries during the 24 hours, one pass to be used for 24 hours regardless your location. Having a Wi-Fi network connecting up to 5 devices. Not having to buy multiple SIM cards in every country in which you are travelling to, and being able to keep you existing phone number. More secure than free Wi-Fi hotspot, if you can find one. Easy to use and easy to purchase more daily passes. Ability to use the 24 hour pass in multiple countries (if travelling between different countries in the same day). 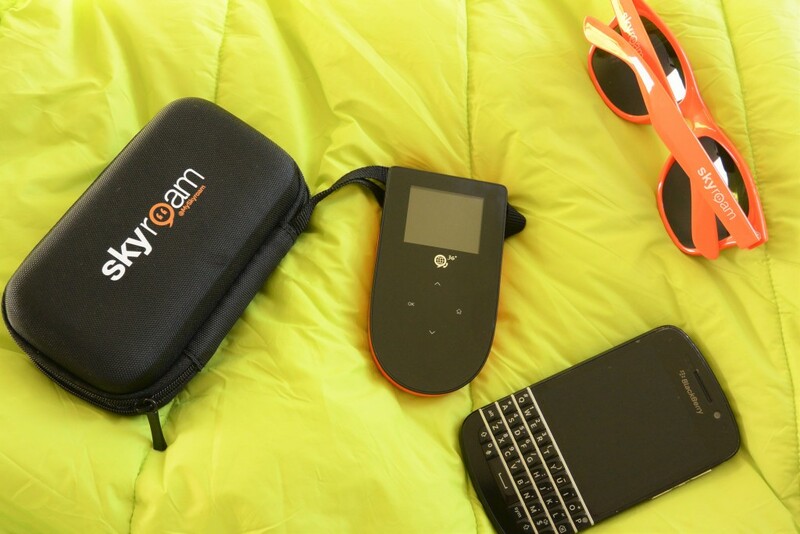 Keeping it simple; Skyroam Hotspot has built virtual SIM access. Once you power it on it sends your location country to the company’s server. The server will assigns you a virtual SIM for that country. Simply power it up and activate the 24 hour pass in a few simple steps (see the video below): clicking the Okay button on Start will prompt you to confirm the activation of one daily pass. The display will then count down until the 24 hour period has expired. 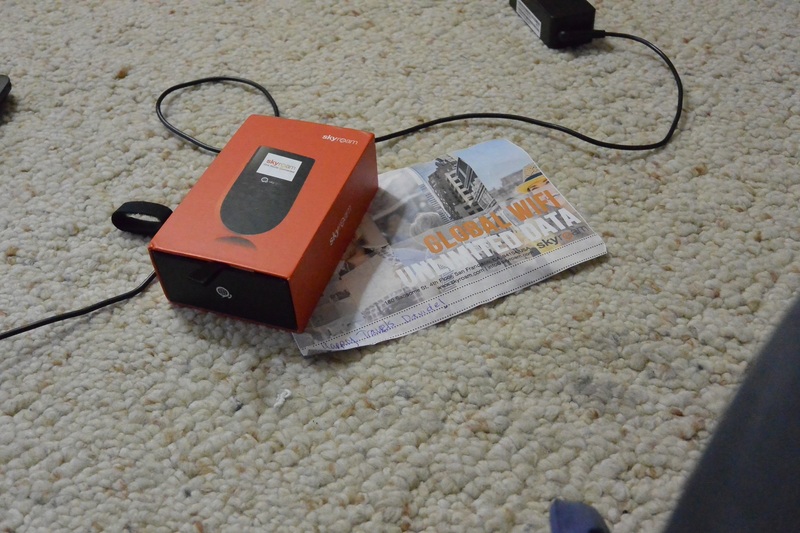 Skyroam already comes with a WiFi network set up with its SSID (the network name) and password. To modify these settings, you need to install an app on your phone. The manufacturer claims that the battery lasts 8 hours of use. I have not measured this parameter but I think that is as close to reality. It was very handy during my stay back in Whitehorse because my host had no WiFi connection but used their mobile phones to connect with their laptop. On this occasion I was able to use Skyroam for two days. It was pretty useful when a black bear destroyed me the front panniers with food and damaged the tent to coordinate what to do for the continuation of the trip. More recently to coordinate my arrival in San Francisco with friends who were waiting for me. Clearly this device needs cell phone coverage thus it does not work in any place where mobile phone coverage is not available. For example, in the wilderness of Alaska, Yukon and British Columbia the places where you can use it are few but then again also having a local SIM is pretty useless, the only solution is to have a satellite phone. 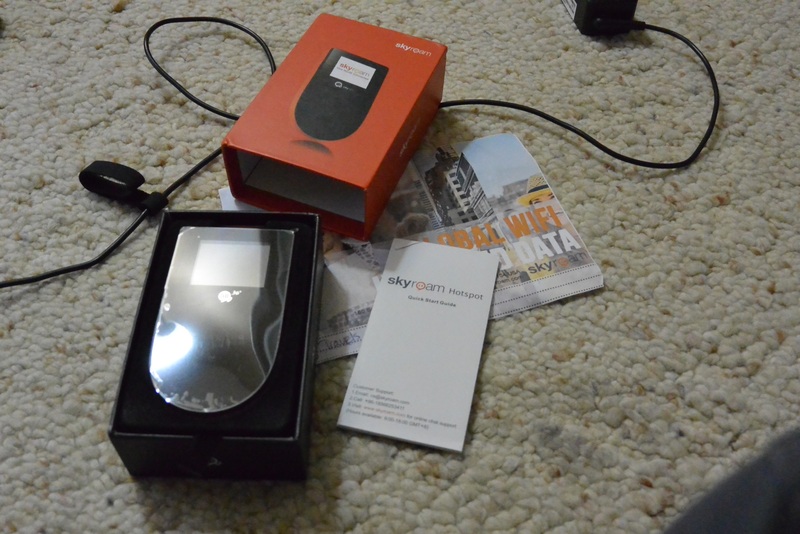 If you travel frequently and need certainty to connect to the Internet for email, social media and blogging Skyroam is definitely a device to consider the costs are contained and much easier and less chaotic than constantly changing SIM cards (granted if you’re even able to get your hands on local sim cards wherever you go, surely something easier said than done). 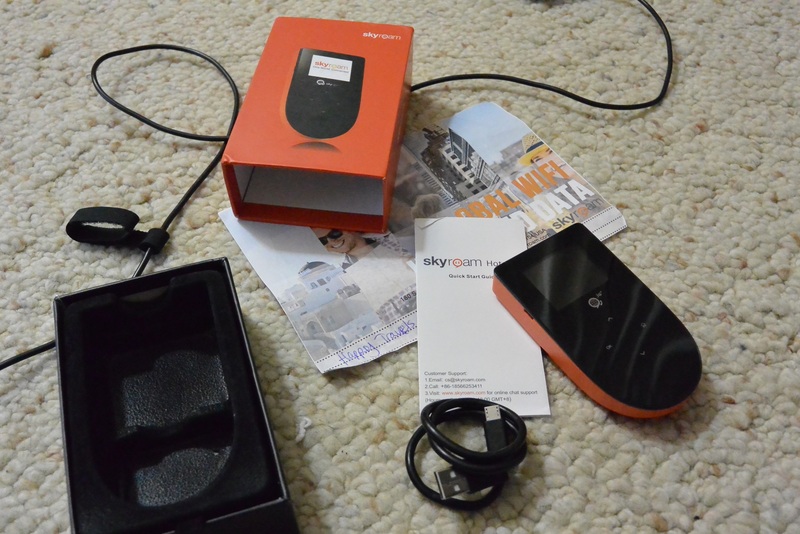 You can purchase Skyroam from Amazon.com ( http://amzn.to/1PUSBMA ) or Amazon.co.uk ( http://amzn.to/1O0SReA ) or Amazon.it ( http://amzn.to/1mfLPGD ) from Lufthansa in EU and Switzerland ( https://www.worldshop.eu/product/Skyroam-Hotspot/1747583 ) and Expansys globally (Ireland: http://www.expansys.ie/skyroam-hotspot-global-wifi-unlimited-data-273544/ or Italy: http://www.expansys.it/skyroam-hotspot-273544/ ).